Here, I’ll address the second element of need definition. Real needs mean primary needs. I talked in an earlier blog about primary and secondary needs. But let’s back up the truck and go over this again. Many needs we observe in life are actually secondary needs. You see a man or a woman standing on a street corner begging. You feel moved by this, perhaps because you don’t want anyone going hungry. But what are you actually observing? Are you seeing people down on their luck, or are you seeing a society with no safety net for those who get tripped up by the economic cycle of hard times/good times? Are you seeing people with no job skills so they have to resort to begging, or do they suffer from some addiction or from mental illness? It’s always hard to know at first glance. 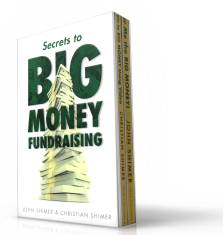 Potential donors to your project want to solve fundamental problems, not secondary effects. This is true whether you are addressing a social problem or character-building challenge or trying to expand the capacity of a hospital, or even if you are attempting to grow a church. Your challenge is to take the reader of your case statement to the heart of the problems that may or may not be easy to understand and demonstrate that if Problem A is repaired, then Problems B, C, and D will also be repaired. Just keep in mind your readers must believe that there exists a definable problem based on what you are showing them with your statistics, authorities, observations, and testimonials. And they must believe you have identified the root problem, the A cause in the chain of events. And ultimately, they must believe you have a solution to that problem. If, after reading your need definition, donor prospects are confused about the need or doubt your accuracy in defining the need, they will challenge everything else written in your case statement. So get this right from the start. Make sure the need you identified is a real and primary one.